Oh heck. This is going to be a long one. I saw my usual 28 shows, but the standard this year was pretty good. It’s probably because I knew about a lot of good and promising groups from previous fringes, but the net result is that since I usually write about good and promising stuff, it’s going to be a hell of job job to write everything up. 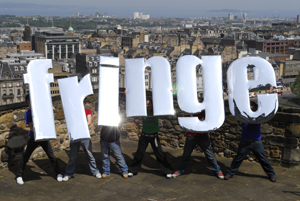 Most of the reviews you’ll find here will be a restatement of what I thought during my live coverage of the Edinburgh Fringe, but there are a few new reviews here too.